With over 50 years of experience and knowledge deeply rooted in the casting field, RONG-FENG Precision Casting Co., Ltd. has earned a reputed name of Aluminum Alloy Sand Casting expert in the industry. To ensure quality and increase production efficiency, RONG-FENG technical team with rich experiences and deep technology has built a rigorous production process. From molding, casting, deburring, sandblasting, and all the way to finished casting products, every step is deliberately scrutinized for perfection in pursuit of best quality offered to our customers. Automobile parts, mechanic components, agricultural machinery parts, machine tools, ship hardware, aerospace defense, architecture, and artistic landscaping. With the exquisite casting technology, the industry and art are perfectly combined, to faithfully present the design idea, and manifest the aesthetics of architecture. 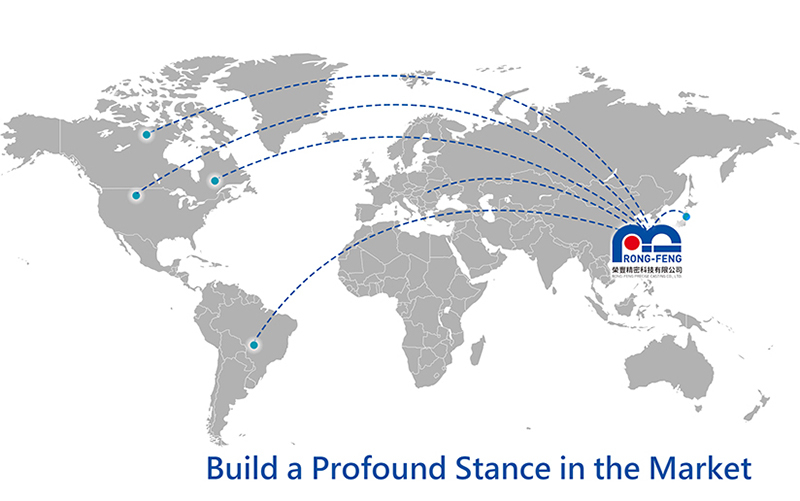 With solid and steady strength, Rong Feng has endeavored to study the casting technology, and built a profound stance in the market, by expanding the business reach to Japan and Western countries. Our performance is outstanding, and we are deeply trusted and supported by our customers. We are the best choice of a professional casting manufacturer. At RONG-FENG, we produce more than 800 tons of high-quality aluminum sand castings every year, producing a large number of small castings or large aluminum sand castings with a weight up to 2,500 kg. For more than 50 years, RONG-FENG has produced raw castings and fully machined castings for Tier 1 and OEM operations in a variety of industries. Due to our experience and expertise, companies use our services. We continually invest in our facilities, technology and staff. Our focus is mainly on large sand castings. We offer comprehensive project support from mold making to full machined castings. What is aluminum sand casting? Sand casting is an effective aluminum casting process in which sand is used as a mold material. More than 70% of the world's metal castings are produced by sand casting. We are the best aluminum alloy sand casting foundry in Taiwan. The two most common aluminum alloy sand casting processes are the Green Sand Casting and Air Set Casting methods. We have two methods of professional skill. Why use sand casting over other casting methods? Sand casting is an efficient and economical process because up to 95% of the sand we use is recycled and reused. This simplifies our manufacturing process while significantly reducing costs and waste generated. We are more capable of casting a small amount castings on an economical budget compared to other casting methods. The initial mold can be created at a lower cost than aluminum gravity die casting and other casting methods. By choosing RONG-FENG, you can choose wood, aluminum, steel and polystyrene as mold materials according to your budget. The strength of the sand mold means that a larger weight of aluminum alloy can be used, allowing for the casting of complex parts. Air Set Casting processes are commonly used for large castings with highly complex geometries. The sand mold consists of chemically bonded dry sand. This process provides a better and more consistent surface finish over Green Sand, often reducing finishing time to achieve the desired result. The Air Set Casting process also allows customers with a combination of demanding sizes and complexity to achieve the desired product in a single casting. Fill each half molding box with sand to create the molds. Strip or remove the patterns from the two mold halves and put them together. Fill the mold with high quality molten aluminum alloy. Let the aluminum alloy cool. After the metal solidified and cooled, the sand is broken from the casting and the casting is processed. Advantages of Air Set Casting. Air Set Molding has many advantages. The process is designed to meet the growing demand of casting design engineers for the foundry industry and is best suited for larger, heavier and more complex castings. This process provides an excellent as-cast surface finish for products that require high aesthetic standards. We melt ingots of A356, A380,A413.2 and many more. For a full list of alloys and detailed information on each, visit our page on alloy casting services. Our DUNS number is 656162801. We’re proud to be ISO 9001:2000 Certified. With an outlook to the future, the RONG-FENG business team will uphold the ideas of “Professionalism, Efficiency, Integrity” in using the years of accumulated experience and expertise to build high-quality products with competitive prices, dedicated to serving our customers.